Over the years I have had many bikes both here in New Zealand and in Canada. I suppose that I have always liked anything mechanical (except lawnmowers; I hate them!) My Dad ran a bicycle and sporting goods shop in Toronto and in the early 1950s acquired an agency for the “Whizzer” It was an add on engine for any bike that sat just above the crankshaft and drove the bike with a chain. The engine kits were bought by individuals and bike dealers and mounted on the balloon tire bikes of the day. The Whizzer was not intended to make a motorcycle out of a bicycle, nor was it a kid’s toy. 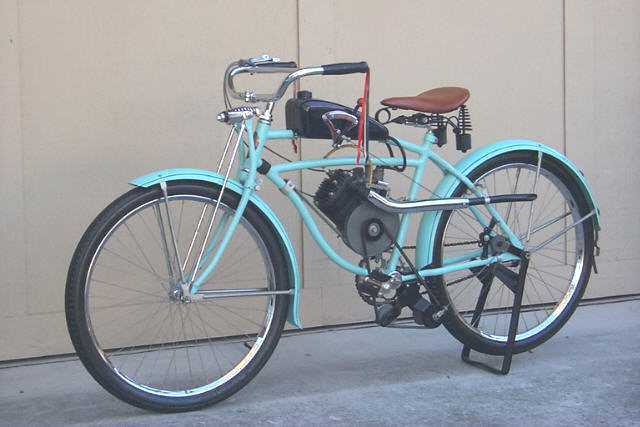 It was intended to make bicycling easier, particularly for those people who used a bicycle for transportation.The Model “J” engine, which had a chrome-plated exhaust pipe and fittings, a new, more-reliable Carter carburettor and motorcycle-type twist-grip controls sold for $195. CDN and they sold about 50,000 of them. My Dad used to weld a second bar at the top of the frame between the saddle and the steering post to strengthen the bike and then fit the motor to the bike for around $350. He did a roaring trade for a few years and then smaller motorcycles like the BSA Bantam and the CZ came on the market and killed the Whizzer. The Whizzer than came out with a complete bike and Dad decided to quit the franchise. 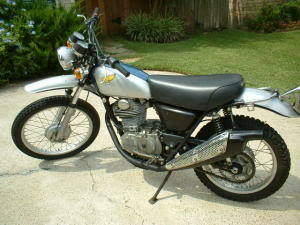 I always wanted a Whizzer but was only 12 or 13 years old and he forbid it sadly. In retrospect, a good move which kept me alive for so long.. 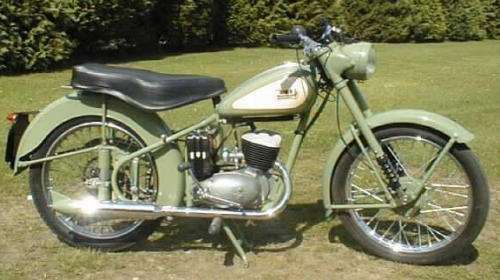 The D1 BSA Bantam was a phenomenally successful small motorcycle. The engine was bored out to 125 cc giving the machine a top speed of just over 40 mph. Most of them were painted in a distinctive Mist Green Mine was a 1954 I bought in slightly used condition from the BSA dealer in downtown Toronto. It was a great bike to ride even though it had a fairly rigid frame. Very easy on fuel though. 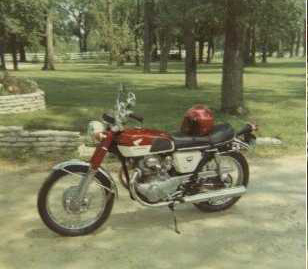 The D1 only stayed in production for a couple of years until they brought out the D3 with a 150 CC engine. I think I paid around $300 CDN for it and only had it a year before I sold it again. They are on eBay for around $1,000 to $1,200 NZD in restored condition. During the 1960s I was far more interested in flying and never had a bike. In 1968 just before I left Canada I was a technical teacher and lived about 10 Km from the school. One day I wandered into a bike shop and there was a nearly new Honda CB350 and it just followed me home. It was the first Japanese bike I ever owned. The 350 was great to ride. Very docile and no vices along with being very reliable. I had it for a little over a year before I left Canada. The Japanese manufacturers with amazing quality control were producing machines that the British just couldn’t match and the British were losing the plot while their sales were going down hill. When I first came to New Zealand I lived in a little town in the middle of the Kaiangaroa forest near the Bay of Plenty. I was teaching metalwork and technical drawing at the local high school and was offered an old Matchless 350 single banger in absolutely appalling condition but the parts were all there for a restoration. I spent a year rebuilding it and then was offered a Triumph 650 Thunderbird twin with a blown motor for $50.00 so I ended up two projects on the go. One of the locals had fitted some high compression pistons and used it for trail riding. Needless to say, it didn’t last long before one of the conrods pulled out of the seized piston and flailed around the lower crankcase. As a result the lower crank case was in many pieces with big holes where no pieces were left. One of the engineers in the local Kaiangaroa logging Company workshops took on the project and actually welded all the pieces back together so the crankcase was like new again. The Thunderbird was the 6T “unit construction” model which placed the engine, primary and transmission in one common housing. 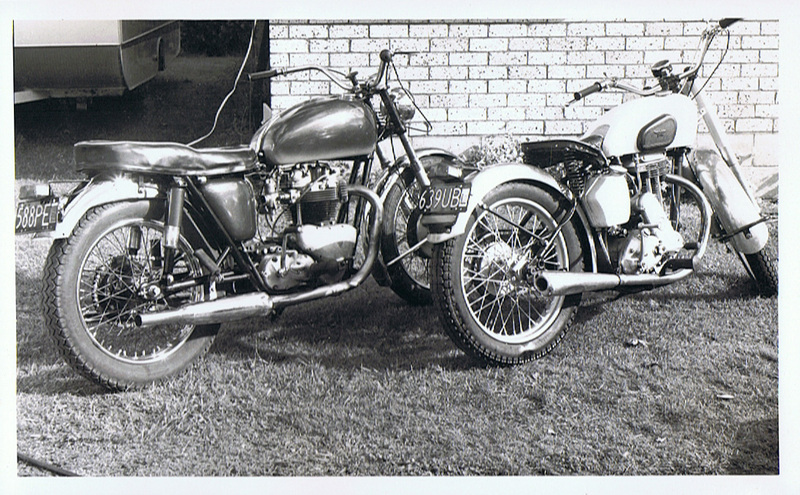 It was stronger, lighter, cleaner & cheaper to build for Triumph. After pulling the whole bike apart and restoring it, I ended up with two road bikes that were a joy to ride through the forest’s private roads every early sunny Sunday morning. 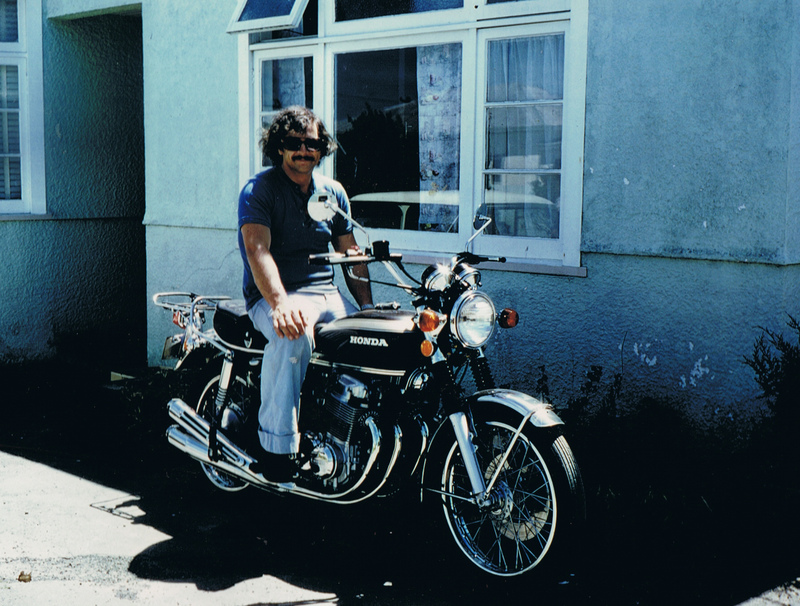 Just before I left the Bay of Plenty and took up a teaching position in Palmerston North in 1973, I decided to sell my two restored bikes and buy a 650 Yamaha XS-2 Yamaha were building very good bikes and this was their effort to try and take sales from the Triumph twins. The bike was beautifully built and unlike all English bikes didn’t leak oil but it did have some idiosyncrasies, the worst of which was a decided speed/handlebar wobble while going through about 80 Mph to 85 Mph. I took it back to the dealer but they were unable to find the cause. It never ever was right and I found out later, it was a design fault. I sold the bike after having it a year. Goodbye Yamaha and Hello Honda. 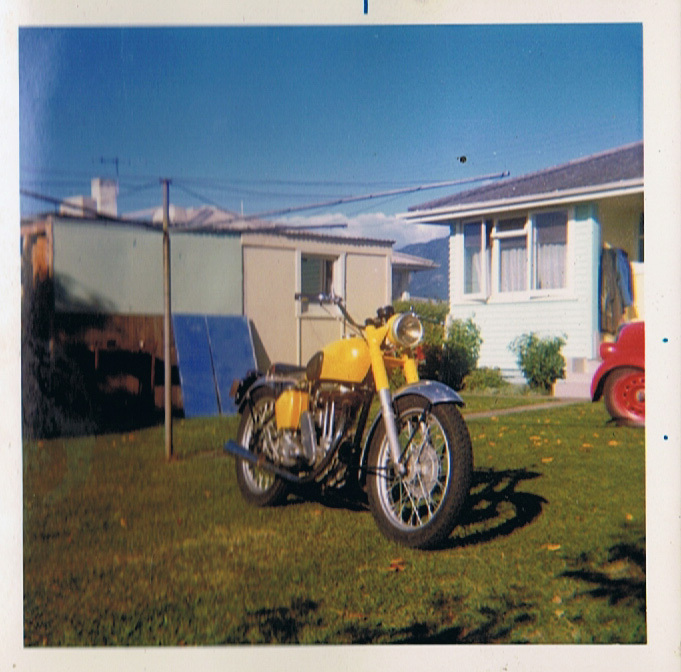 I was living in Palmerston North in 1974/75 and wandered into the local bike shop which is fatal for me! There sat a 1972 Honda 750/4 and of course it followed me home. The 750/4 was one of the first Japanese “Superbikes” A 4 cylinder crosswise motor that ran like a clock was revolutionary in those days and the handling was brilliant. I rode it for just over a year and then sold it along with a Leyland Mini to get together enough money for a house purchase as I was about to get married. I didn’t buy another bike again until the late 1970s when I bought a Honda 50 scooter to get to school on cheaply. Sherril and I were in Hastings at that point starting a family and renovating a very large and very old house. The scooter went and a Honda XL 350 trail bike came on the scene. 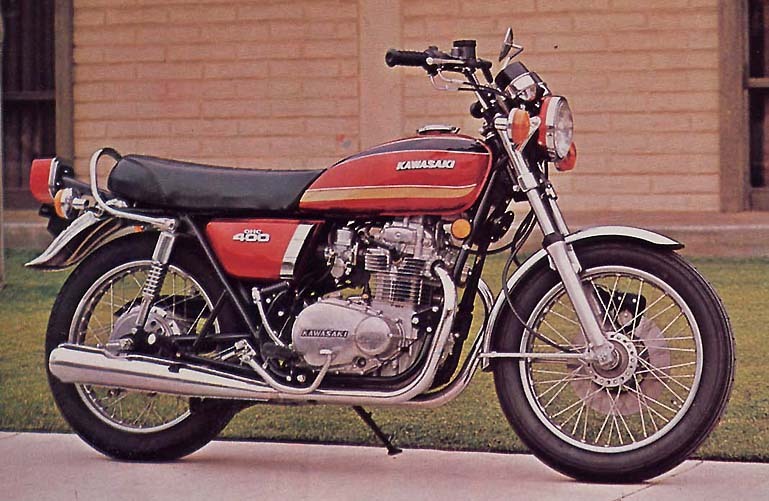 I just hated that XL 350 , probably because I enjoy road bikes so much. I rode it for a few months before deciding that I would never ride another trail bike. Great decision and I started looking around for another road bike. Sold the trail bike and bought a Kawasaki 400 twin. 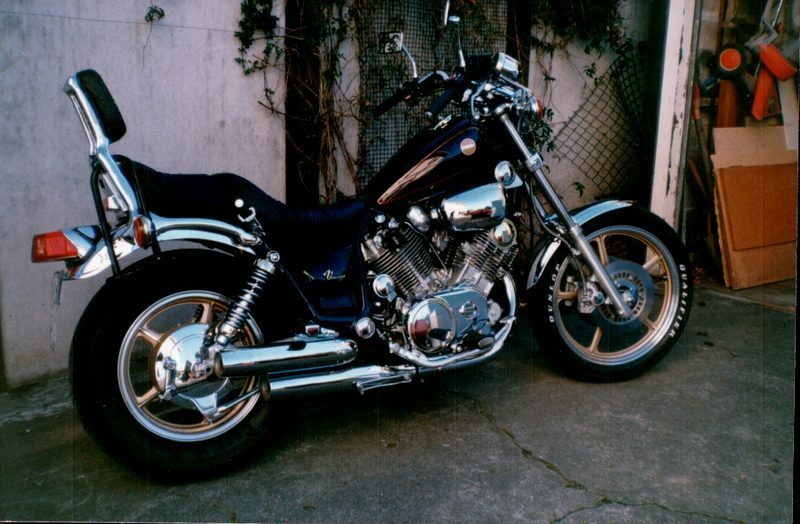 It was a mundane sort of solid bike but by the 1990s I was becoming a bit more financial and bought a nearly new Yamaha 750 Virago Vee twin. It wasn’t a Harley, but it started me on the trail to buying a Harley. About this time I joined the Ulysses Club. 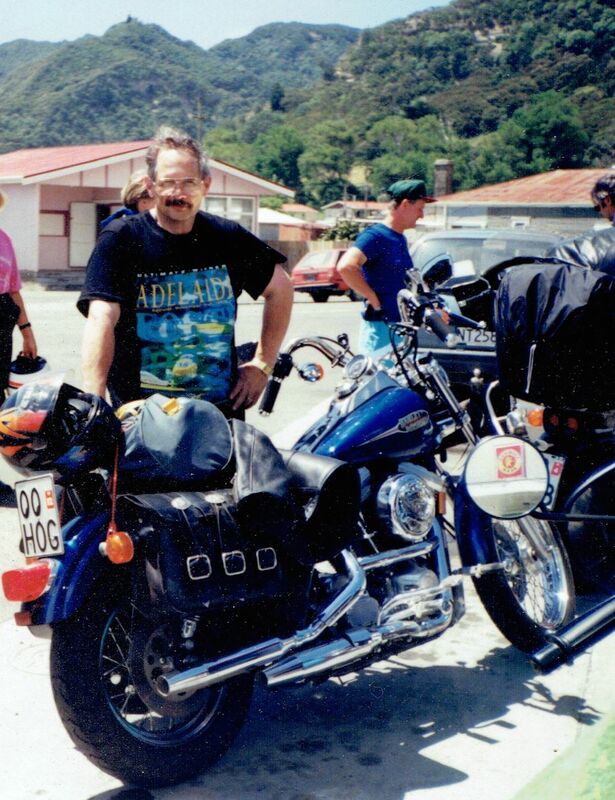 The Ulysses Club of NZ is actually a motorcycle club for “olds” You may become a fully fledged member when you are 55 and the club is all about safe riding, fun and fellowship. I enjoyed riding with the guys, mostly on day trips and the odd overnighter around the east coast. During 1992, I ended up in hospital with a blown appendix and developed peritonitis. 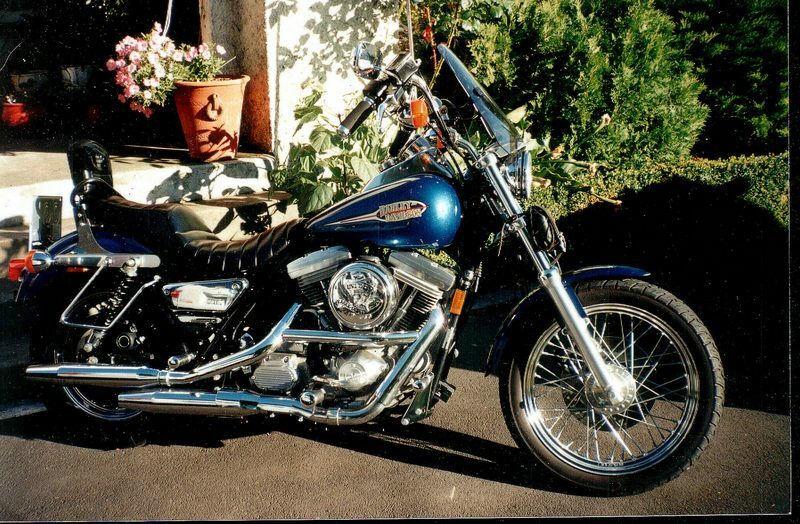 Intensive care gave me a bit of time to think that if I didn’t do it then it would end up just being a dream so a brand new 1992 Harley Davidson 1340 CC FXR was ordered. 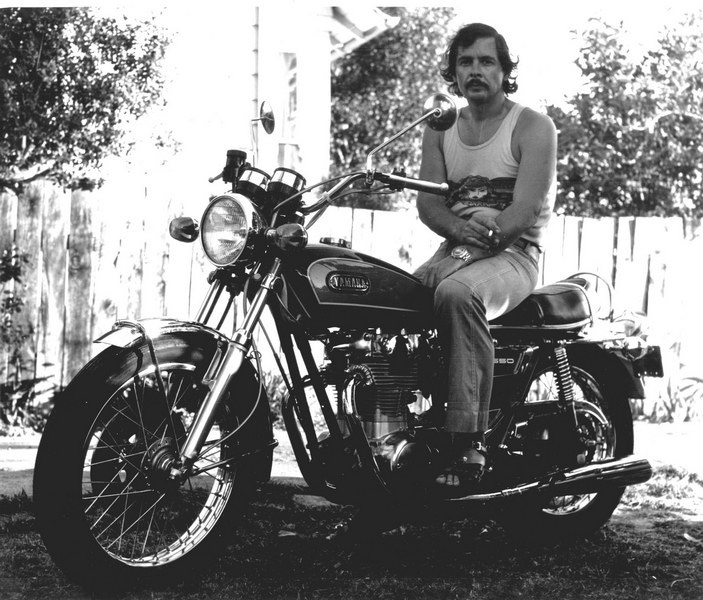 The Harley was a joy of a bike to look with all the bling but the handling was poor. Harleys are designed as American road bikes for freeways and turnpikes, not the winding twisty roads in New Zealand. I rode it for a few years and by 1997 I thought it was time to give up riding for good. I have led a charmed life with bikes having “canned off” a few times and ending up with only a few cuts and bruises. I was 60 and one’s reaction time is nothing like it was when you are in your 20’s. Time to give it away for good! I sold the bike and have never ridden since. I do have some regrets but being alive to make 75 is better than the alternative. There is nothing like the feeling of cruising down a long, smooth gently winding road with the sun on your back and the smells of countryside permeating your helmet. Nothing at all. Sigh!! This entry was posted in Motorcyling by Lee. Bookmark the permalink.